Above: Two photographs taken at her son Apostolos' wedding. 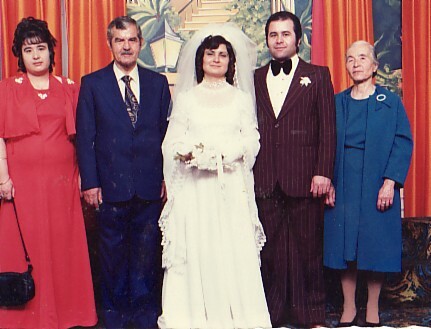 On the Left, she is with her husband, Mihail, while on the Right, she is with: her husband, Mihail; her son, Apostolos and her daughter-in-law, Eleni; and her daughter, Paroula. 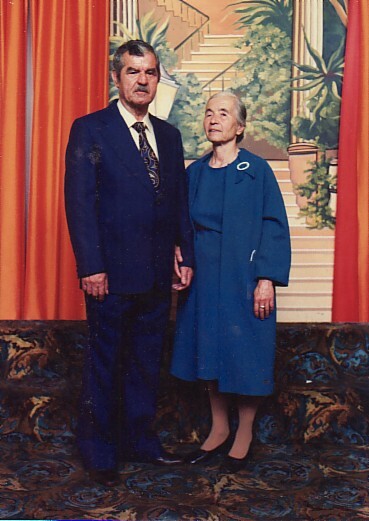 Above Right: With her husband, Panagiotis.